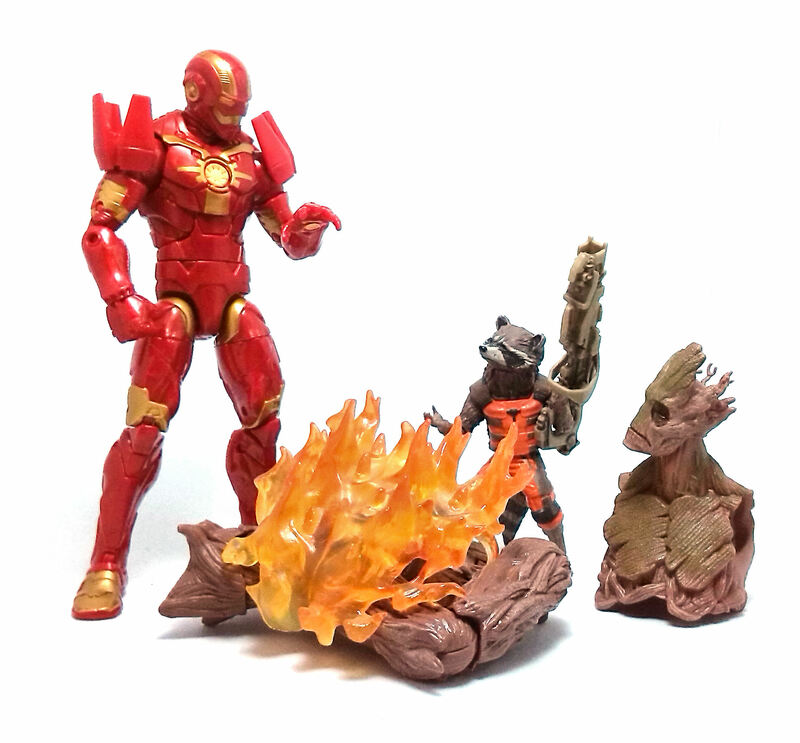 Now, from what I’ve read online, Iron Man did appear in the Guardians of the Galaxy comics a few times wearing a this suit of armor but for practical purposes, most of the armor in this figure comes from the previous Heroic Age Iron Man released a couple of years ago and Hasbro only tooled a new head and a new set of arms. 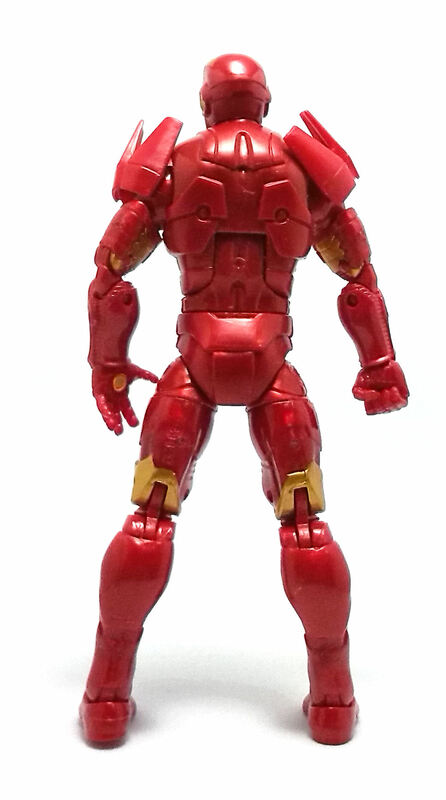 On its own, the new head piece doesn’t look like the regular Iron Man designs, since it lacks the trademark “mouth” lines we see on most other versions of this character, but the helmet is nicely detailed and well scaled to the body. The new arms feature a couple of shoulder pads of a very unusual design with upward panels that remind me of rocket nozzles. These pieces clip to the shoulders and can be moved around or removed quite easily. 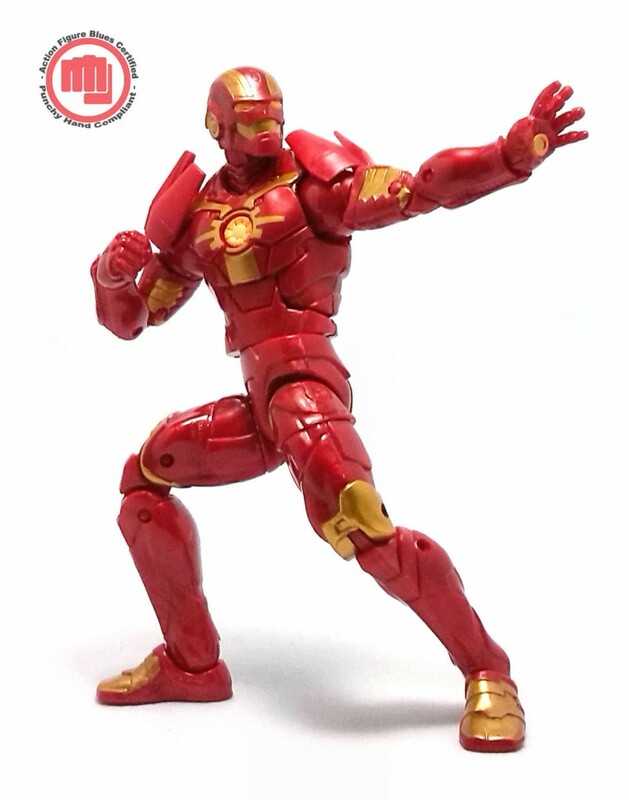 All of the joints feel firm and the shape of the new forearms allow the hands to be positioned with the palm looking forward, which is something all Iron Man figures need to be capable of, in my opinion. Even though the new pieces in this Deep Space armor do a good job of making this a unique figure, the paintjob is what further sets this figure apart from previous versions. 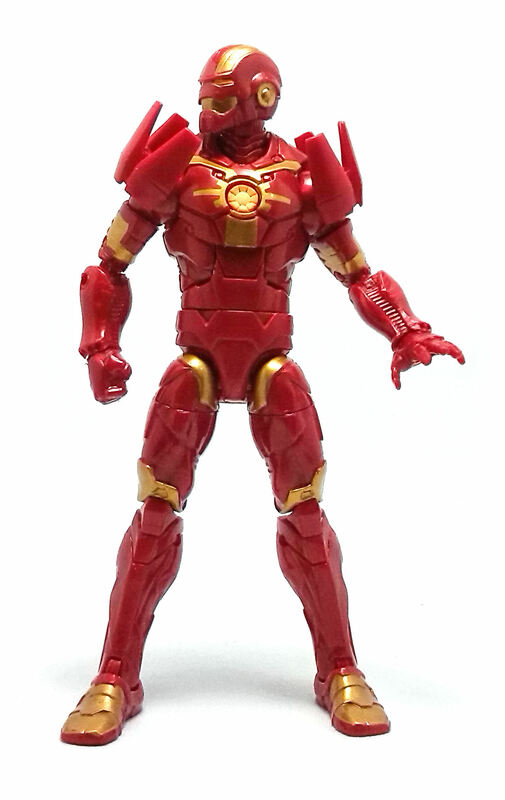 The Deep Space armor is molded entirely in a cherry red plastic that seems to contain some iridescent element in it. While pleasing to the eye, this sheen does look very toy-ish and candy-like on the figure. The Deep Space suit also has some armor panels painted in a bright golden color and is finished with warm orange-to-yellow gradients applied to the chest reactor and eye slits. 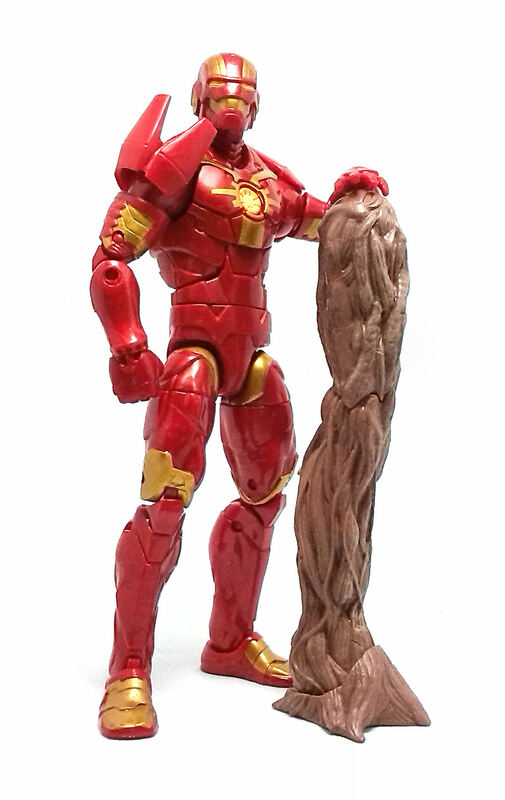 Deep Space armor Iron Man comes with the right leg piece to complete the Groot Build-A-Figure. This piece is molded in a muted brown plastic and lacks any paint deco. 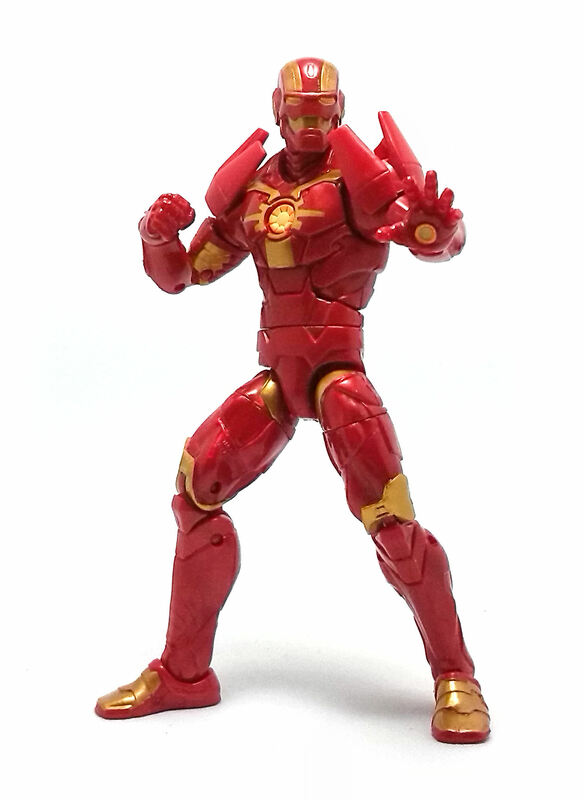 Overall, this Deep Space Iron Man is a pretty decent figure that looks just different enough to earn a place in my collection, despite the unusual color scheme.